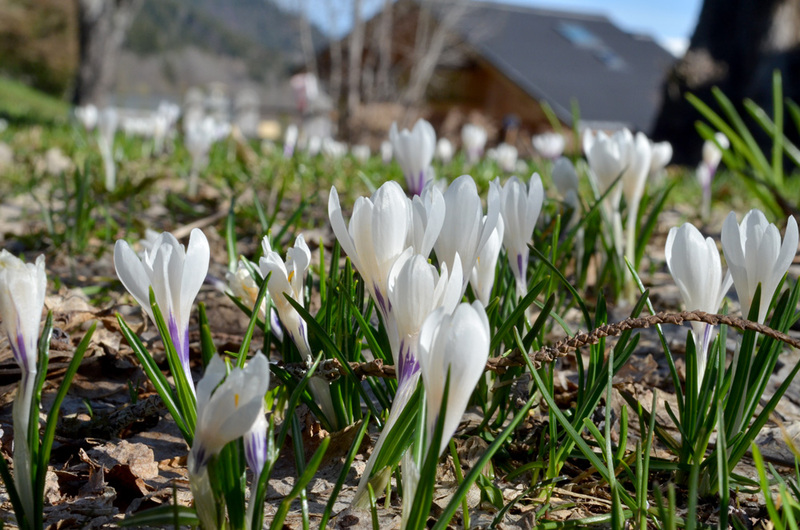 After the deep snow and freezing temperatures of December and January, March was a welcome lightness. 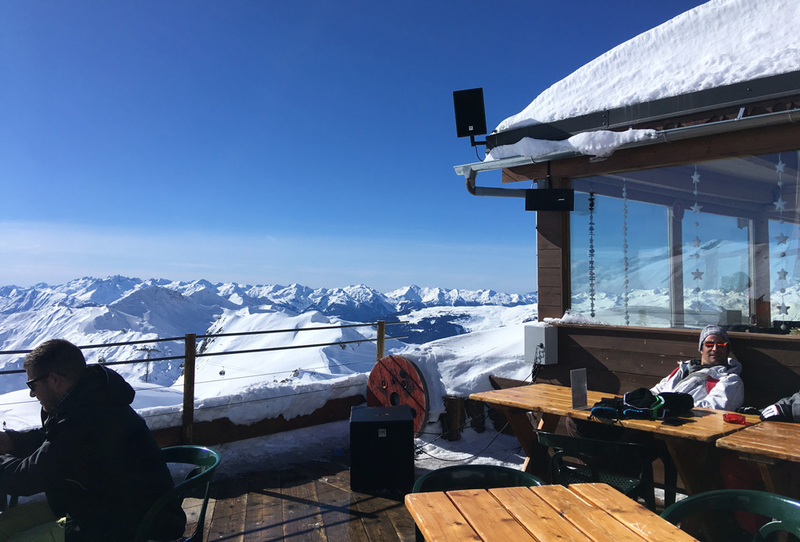 As we left for work in the mornings, the sun was now emerging over the mountains, the afternoon sunshine lasting allowing lazy pre-work snoozes in a piste side bar. 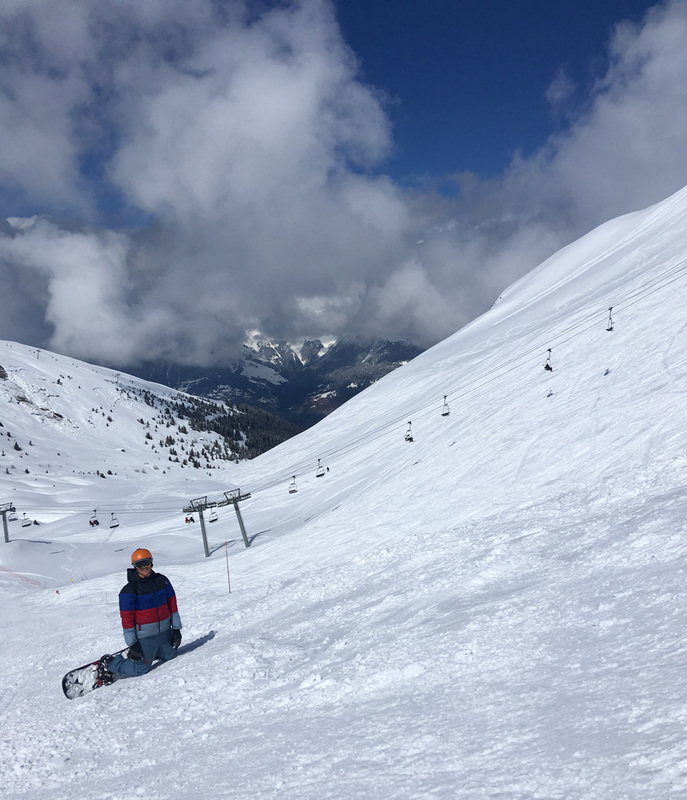 Despite the slightly warmer temperatures, the early heavy snow created a solid base. 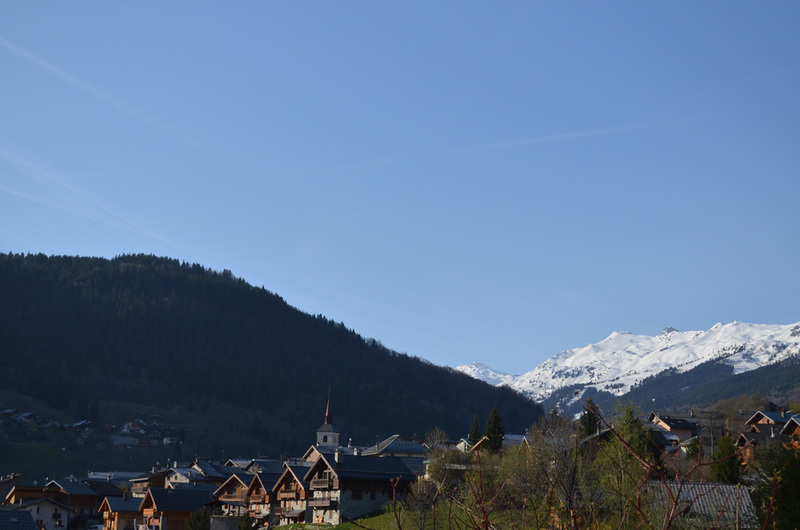 One of my favourite runs down towards St Martin de Belleville accessed on the quieter Olympic side of the Meribel valley. 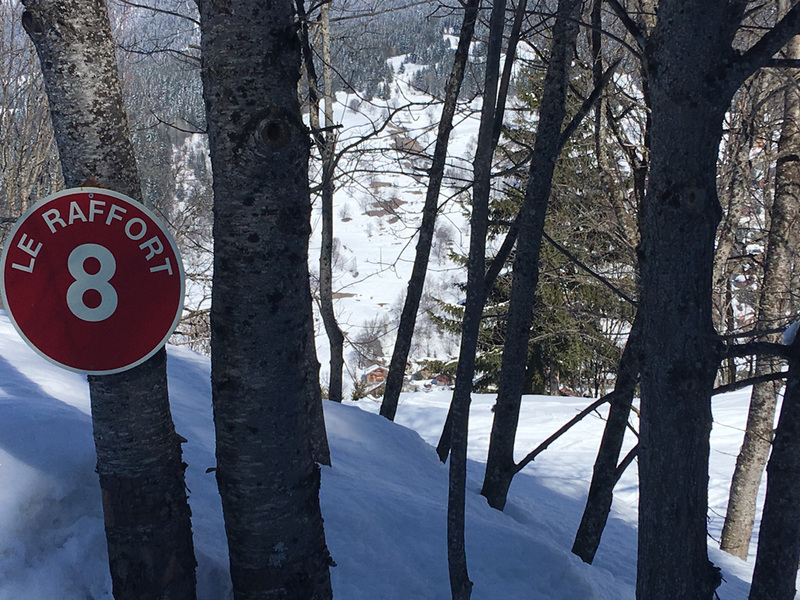 Love a tree run – this one down to the hamlet of Raffort winds down through a narrow track in the woods. 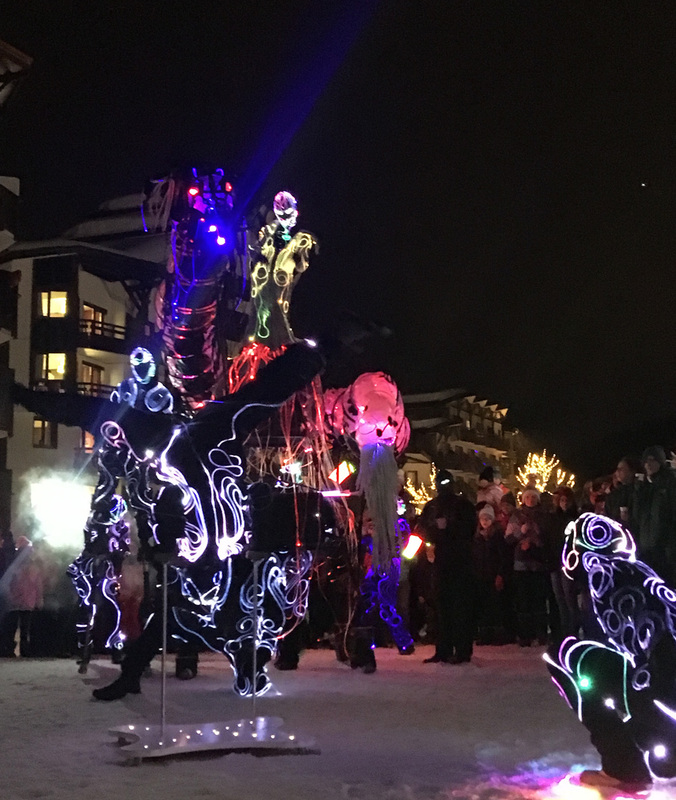 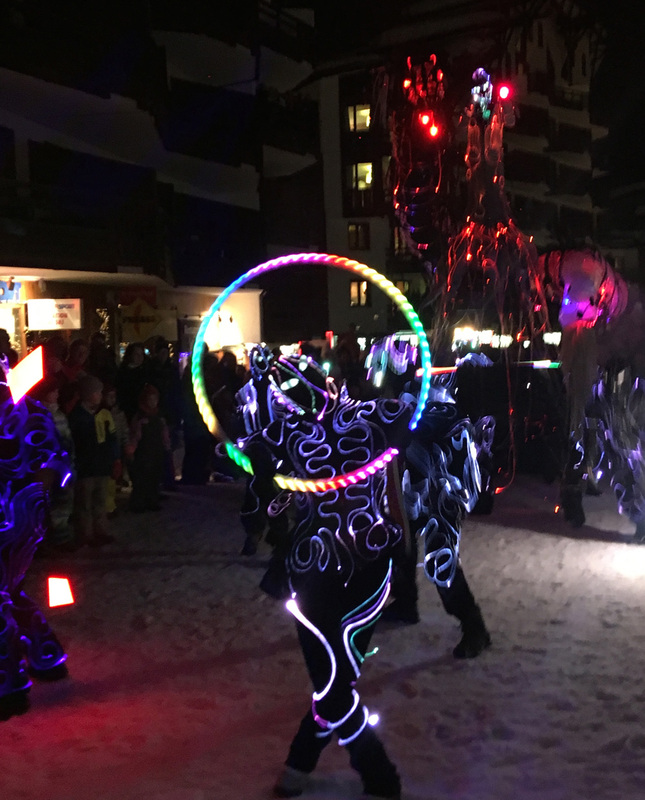 In early March, we took a welcome evening out of the resort for a light and pyrotechnic trippy style show in La Tania, complete with firework display amongst the snowy night sky. 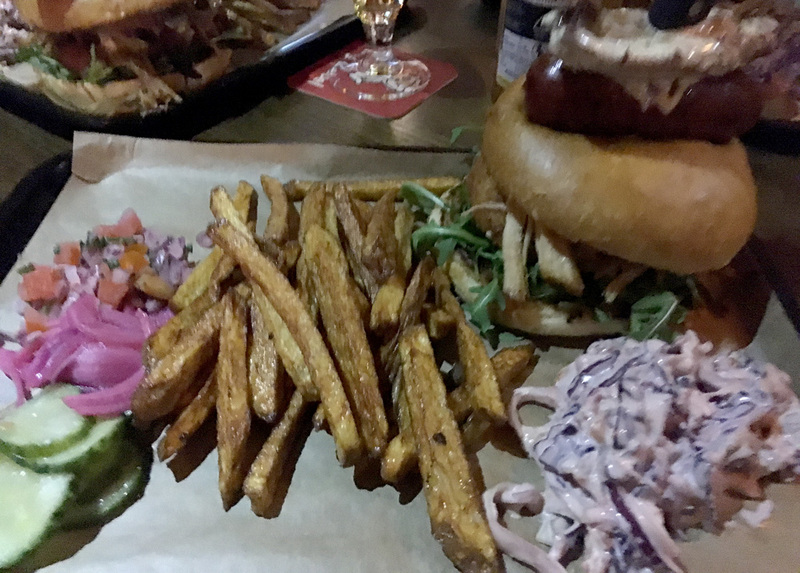 We followed the show by heading back to Meribel and indulging in the infamous ‘Seasonnaire burger’ at Brewers Den – an awesome craft beer and smokehouse bar with sweet cocktails and loud bluesy music. 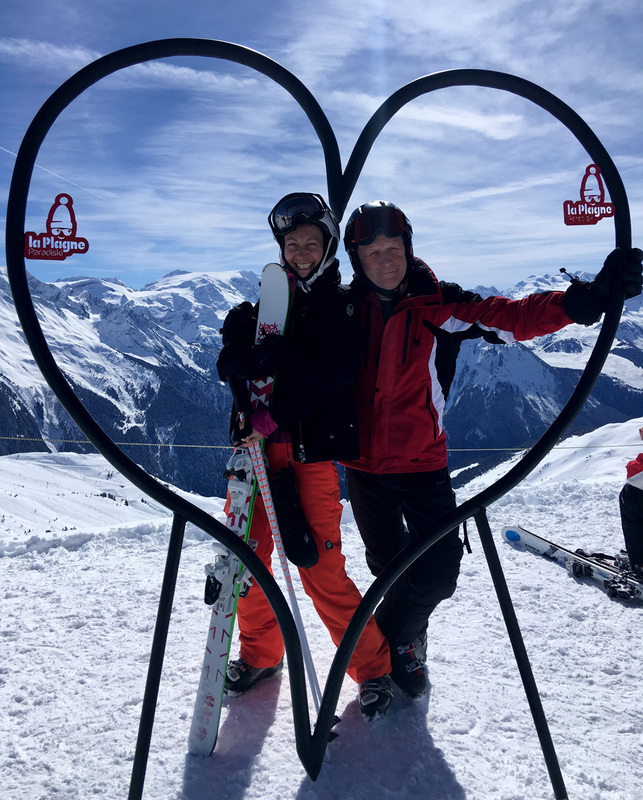 The following Wednesday we hitched a ride over to La Plagne, just over an hours drive from Meribel to see friends and check out a new ski area. 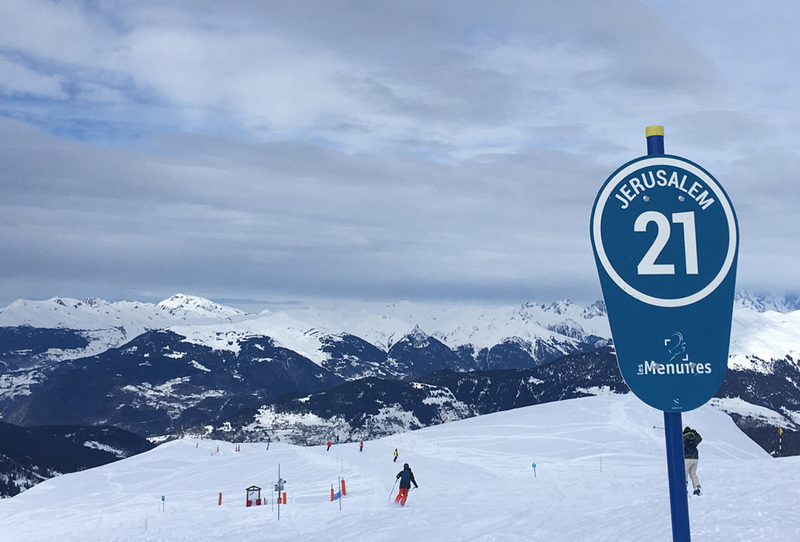 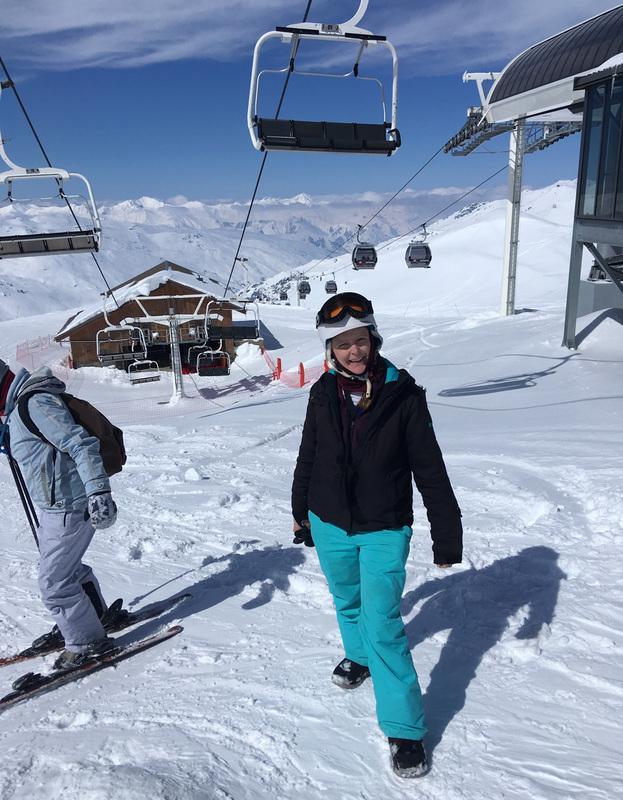 After a week of snowy conditions, we were lucky to get blue skies, and although the lift queues were long and the area not being as well connected as the Three Valley’s, it was great to catch up with friends and ride a new area. 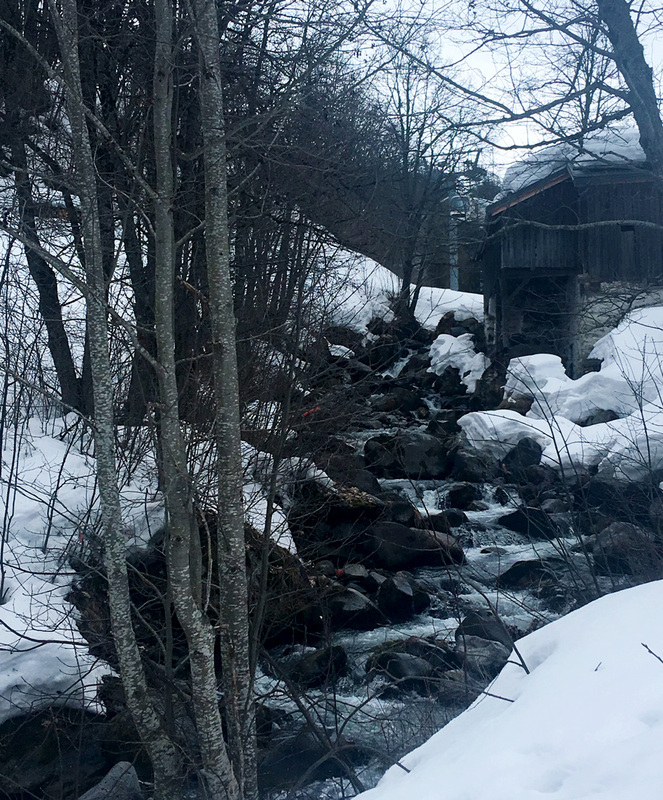 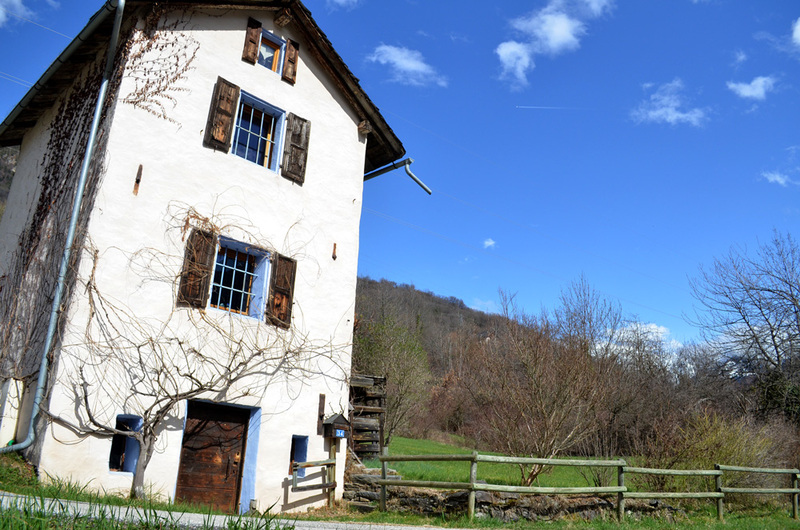 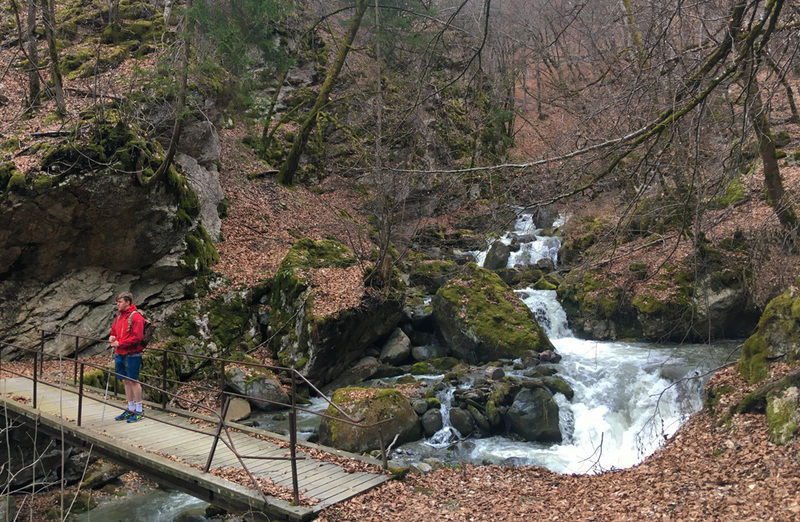 High winds can occasionally shut the lifts in Meribel, so one afternoon we took the bubble lift down to the pretty hamlet of Raffort for a walk along the river to an old water mill site. 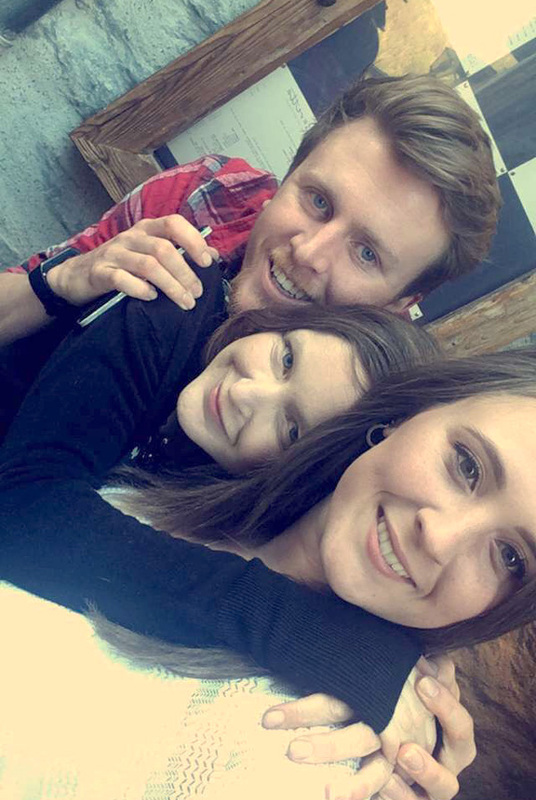 (B was wearing his Vans, hence the funny walking :p). 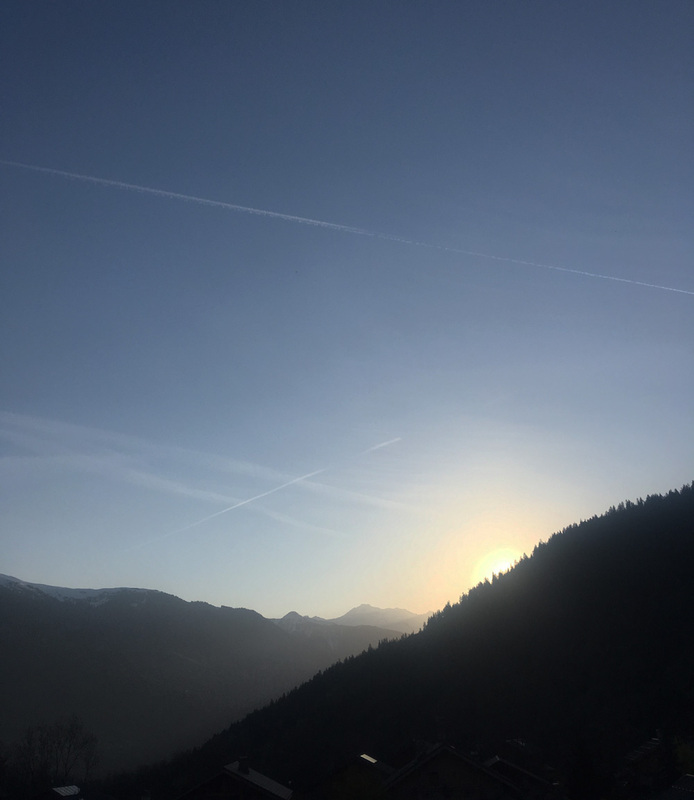 And another lazy afternoon, we talk a walk around the Altiport area, at Meribel 1650 and walked back along a flat green run to the Rond Point, just outside my chalet. 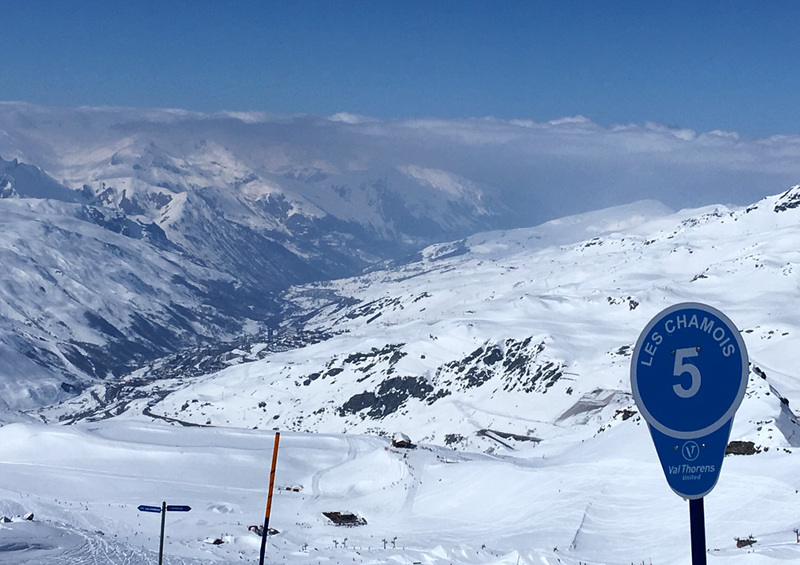 Another Wednesday trip over to Val Thorens, higher than Meribel the snow conditions are consistently decent, with the glacier allowing for riding up to 3000m. 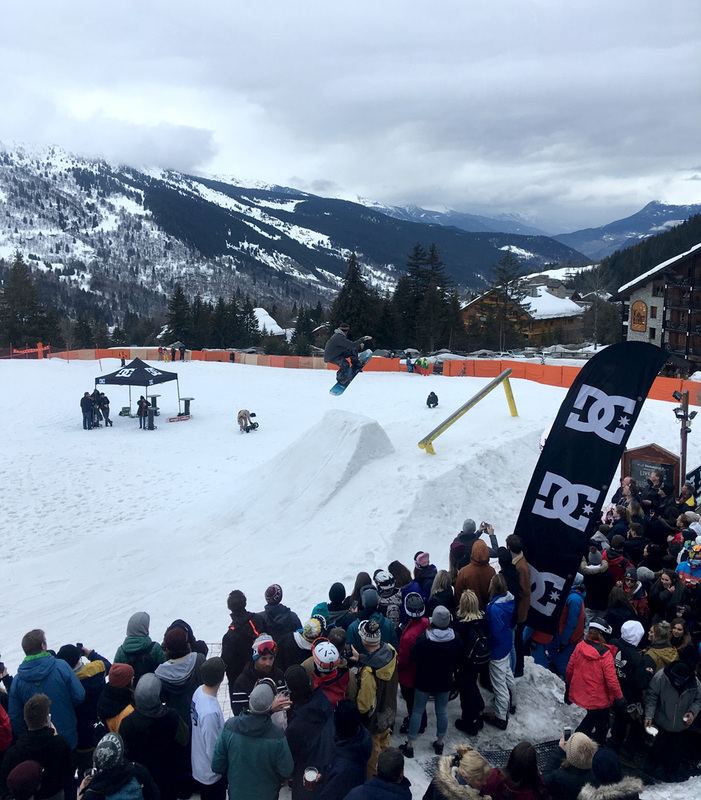 At the end of March, a temporary jump was built outside the Ronnie bar and restaurant for a fun freestyle snowboard competition with the skate and snowboard clothing brand DC. 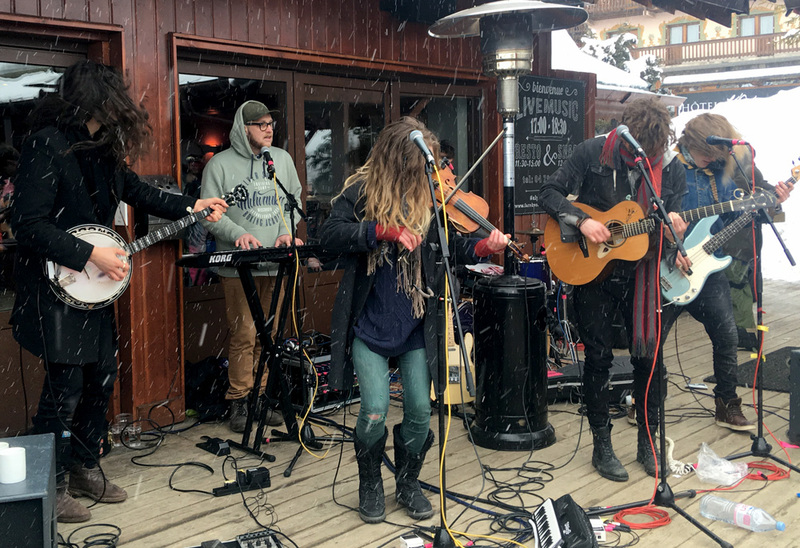 In mid-March, the Ronnie also played host to a week-long music festival, with live bands and DJ sets accompanying apres drinking- dancing to Coco and the Butterfields complete with a violin, banjo and beatboxing keyboard player in a mini snow storm was a sweet sweet highlight. 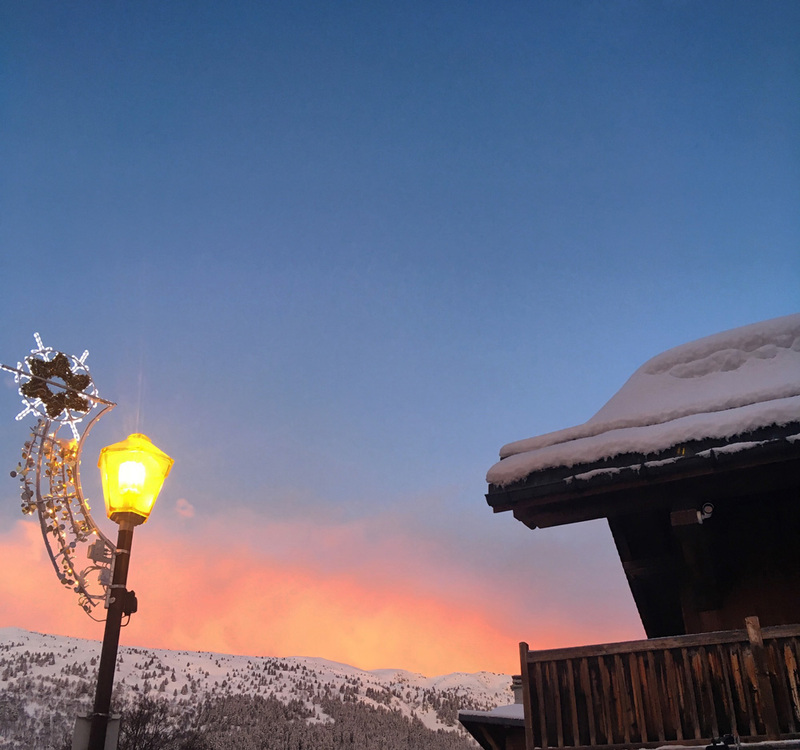 The first of April, Easter Day and a night of heavy snow gave way to morning blue skies – an expected bluebird powder day. 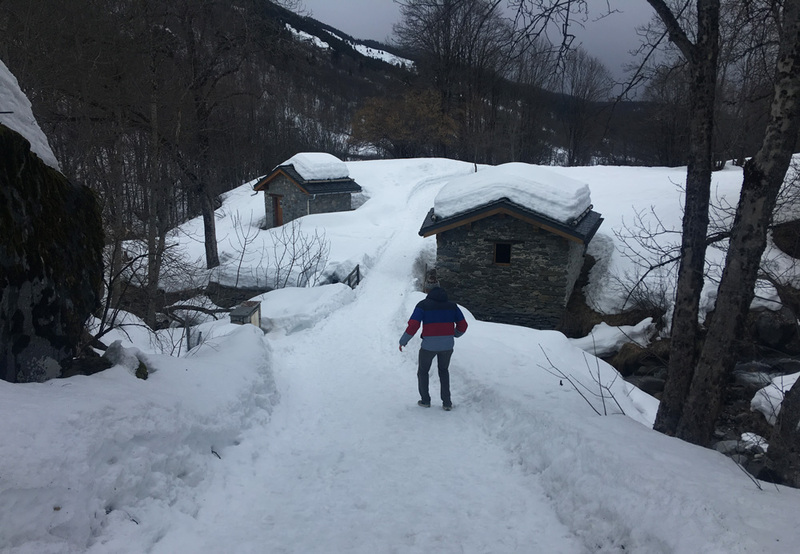 As the snow began to warn, we took a hike from the staff chalet in Les Allues down to Bride Les Bains, a spa town down in the valley. 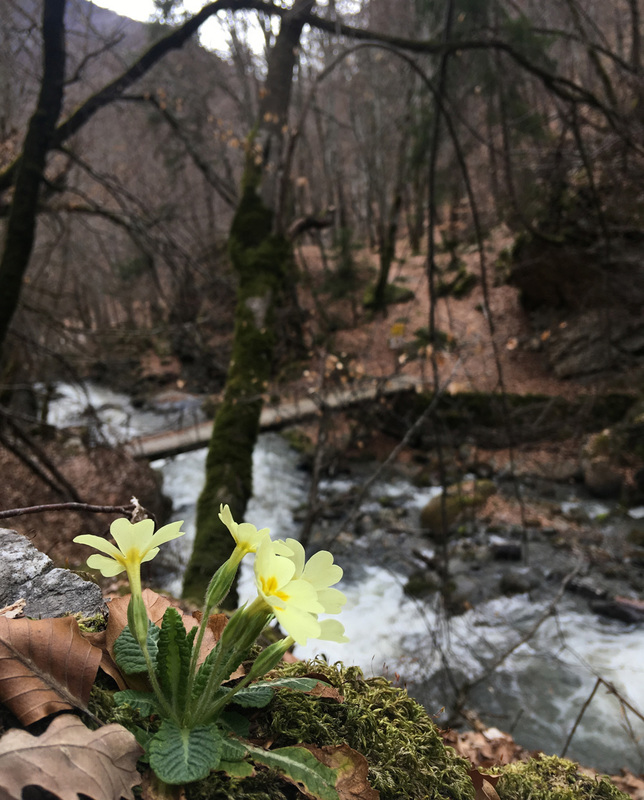 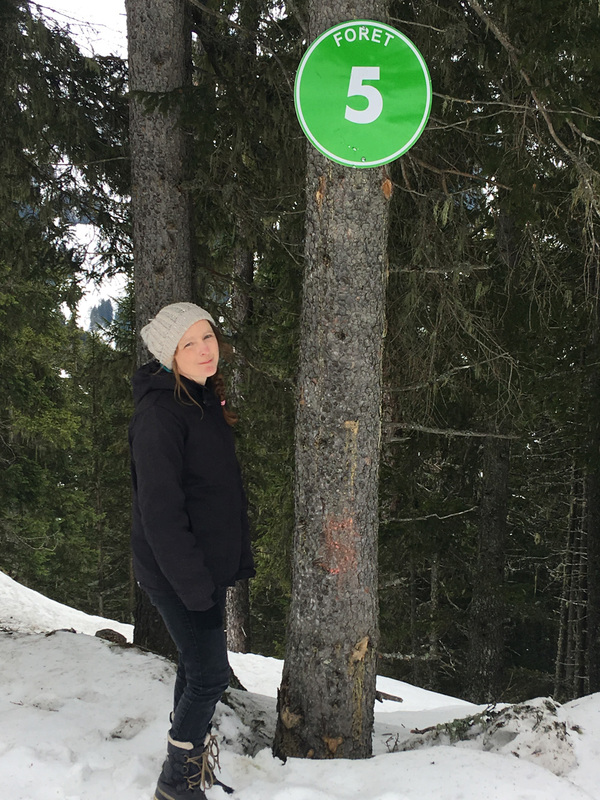 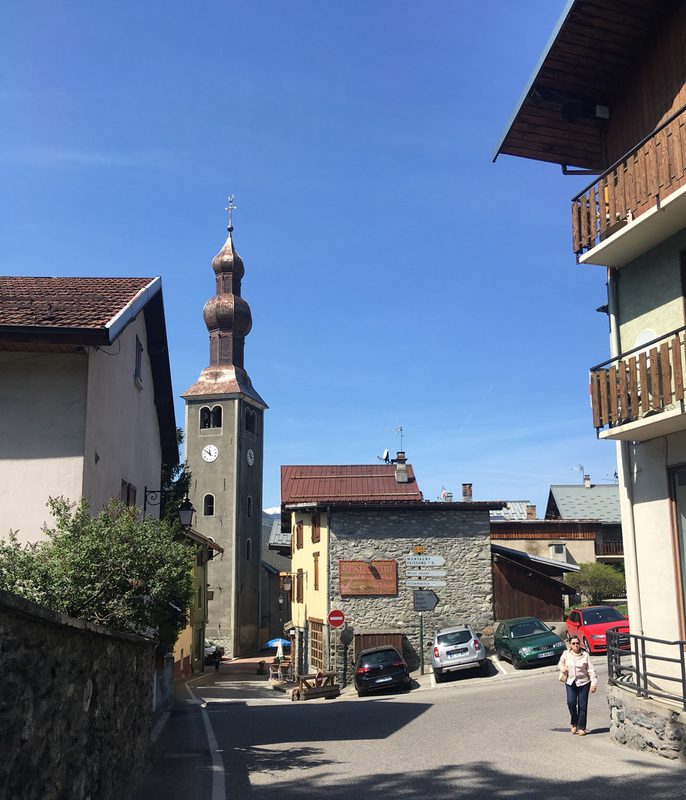 After jumping over mini streams and hiking down steep baths, we treated ourselves to fondue, walked across the valley to find a geocache before getting the bubble lift back to Les Allues. 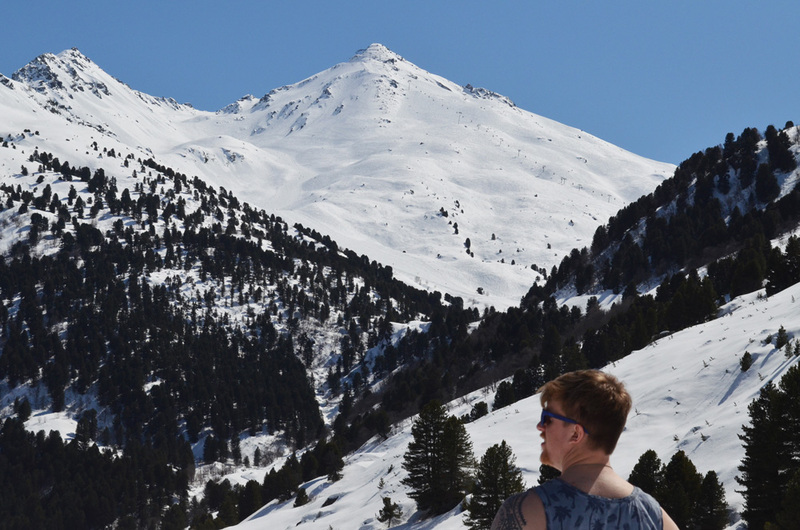 One crazy hot afternoon (probably 16 or 17 degrees but after a cold winter this felt tropical! 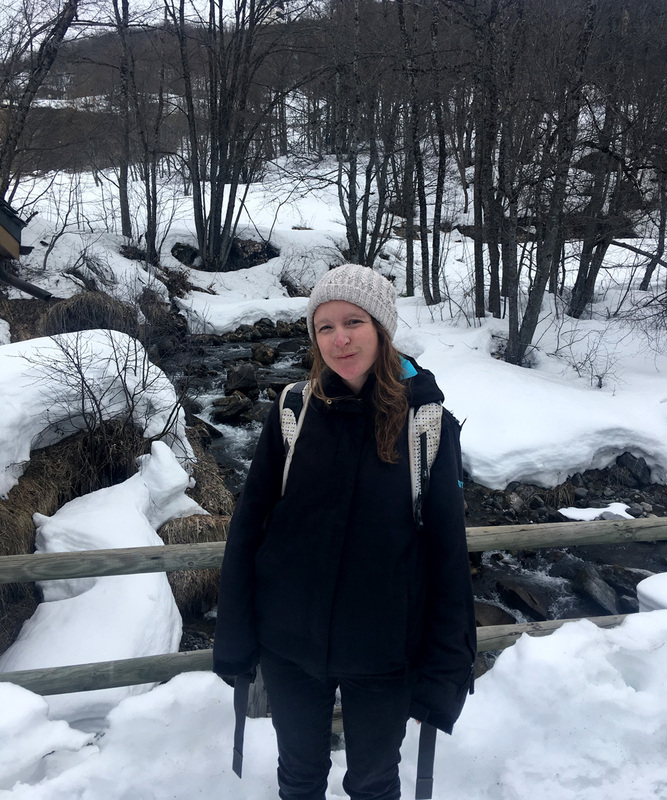 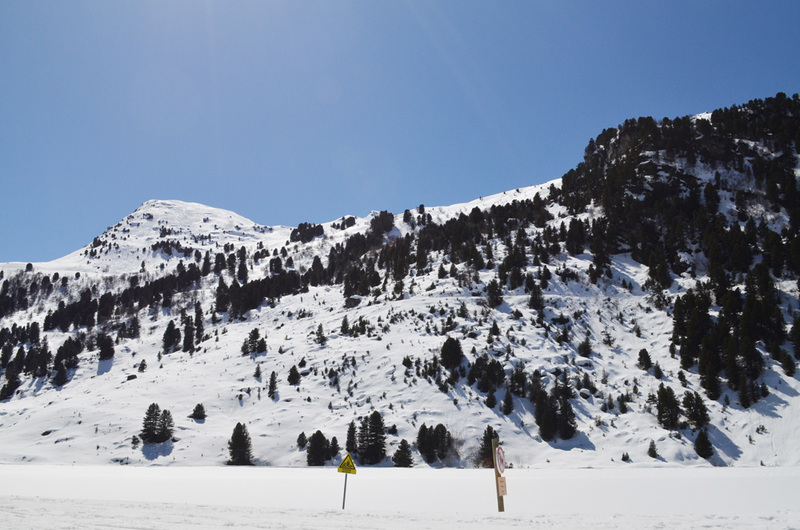 ), we took a bus out to Motteret for a walk around the frozen Lake Tueda, a popular spot for cross-country skies and snowshoes – we stuck to our snow boots and lazed in the sunshine. 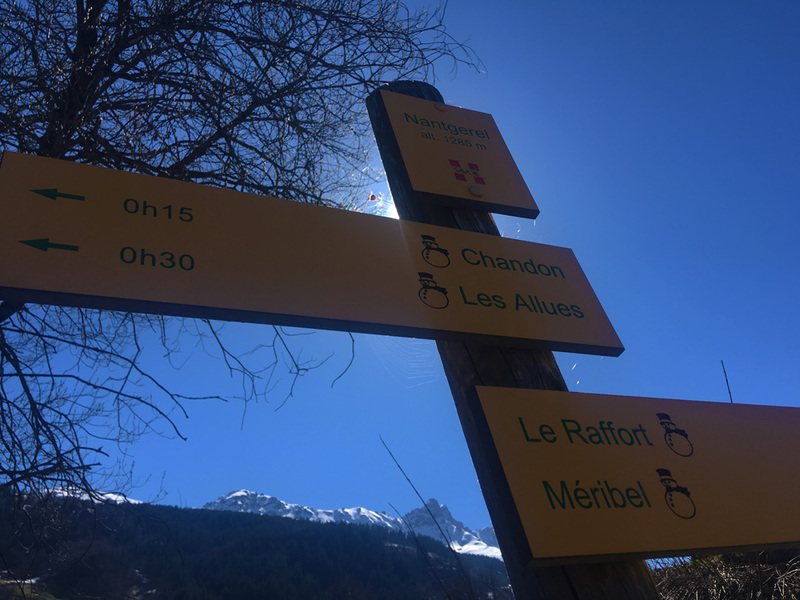 On the last day off of the season, I hiked from Les Allues to Meribel, passing though Raffort, Meribel Village, and La Gittaz. 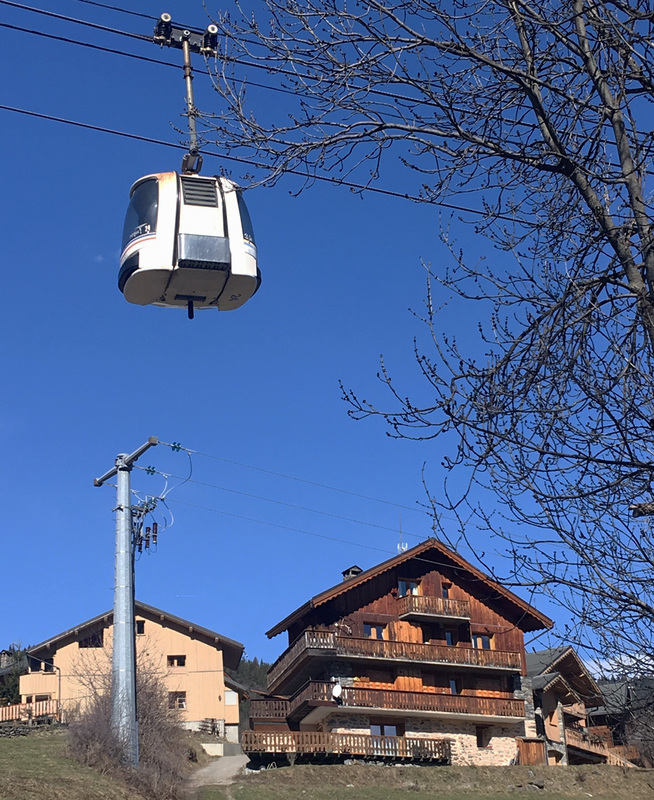 At the Chaudanne, I took the lift up the Saltire the mightly cable car lift down to Courchevel for a farewell crepe, an eerie ghost town as most of the runs down there were already closed. 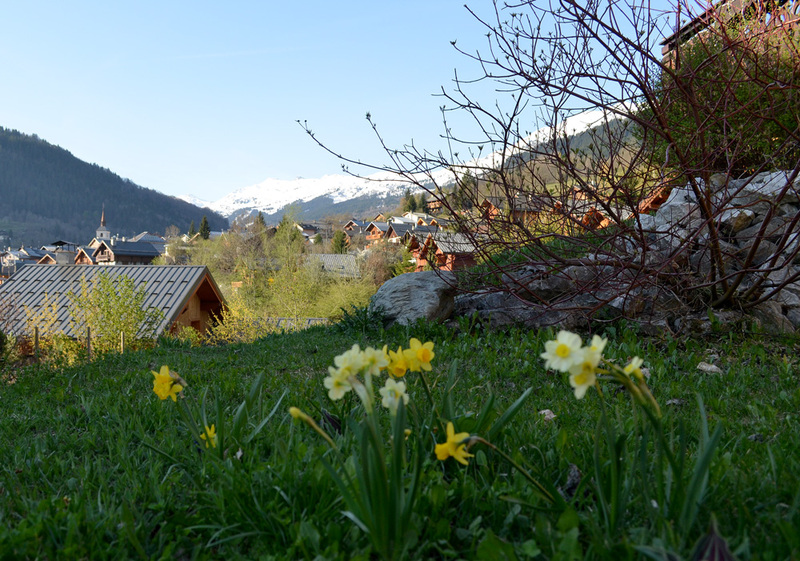 After the final guests of the season left, we had a week of deep cleaning the chalets to hand them back to their owners. 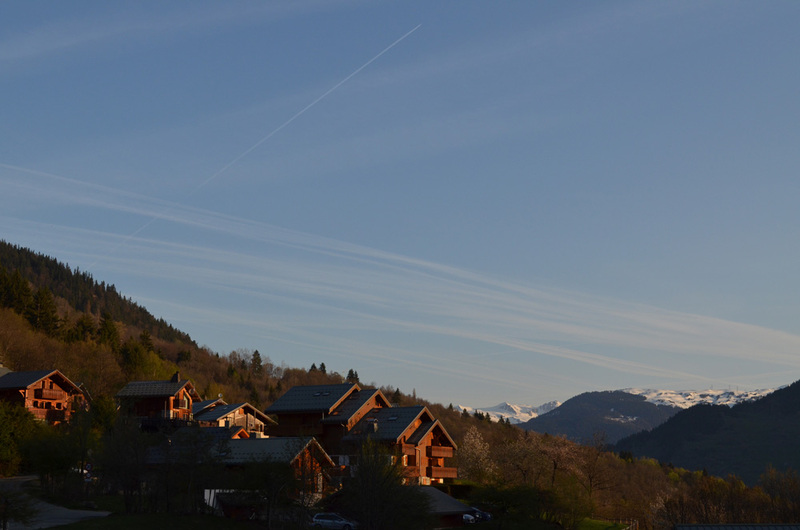 Despite the long days, we started work a little later at 8am, allowing me to get up and capture the golden hour of spring light in Les Allues. 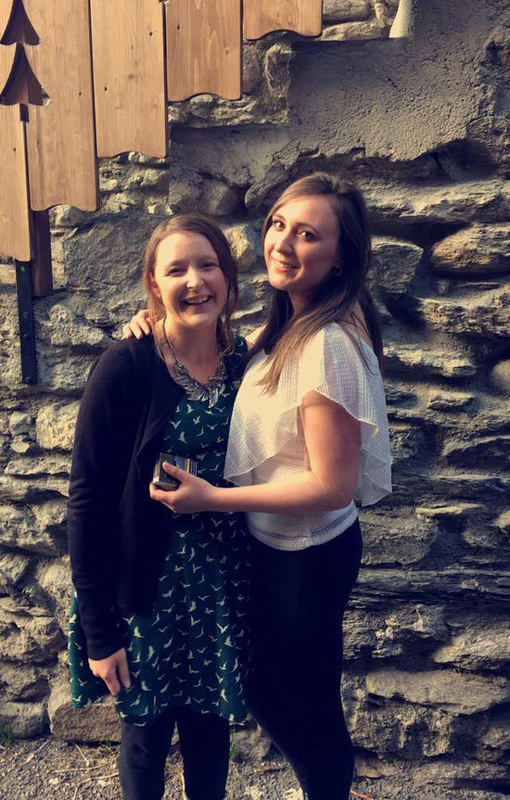 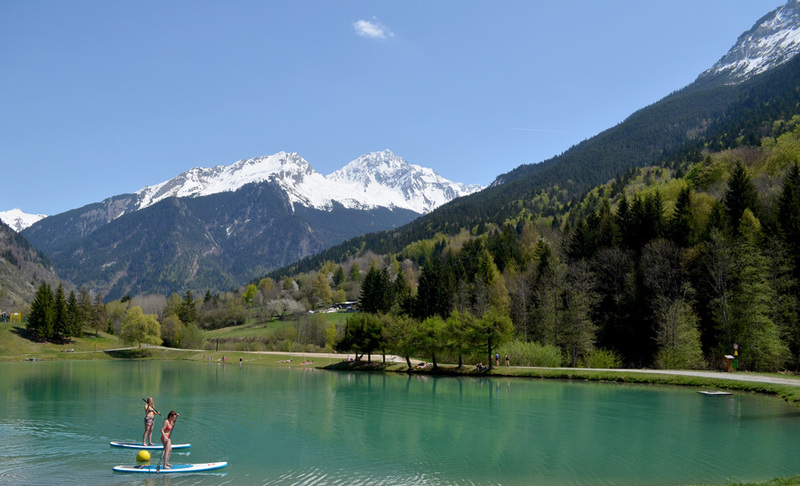 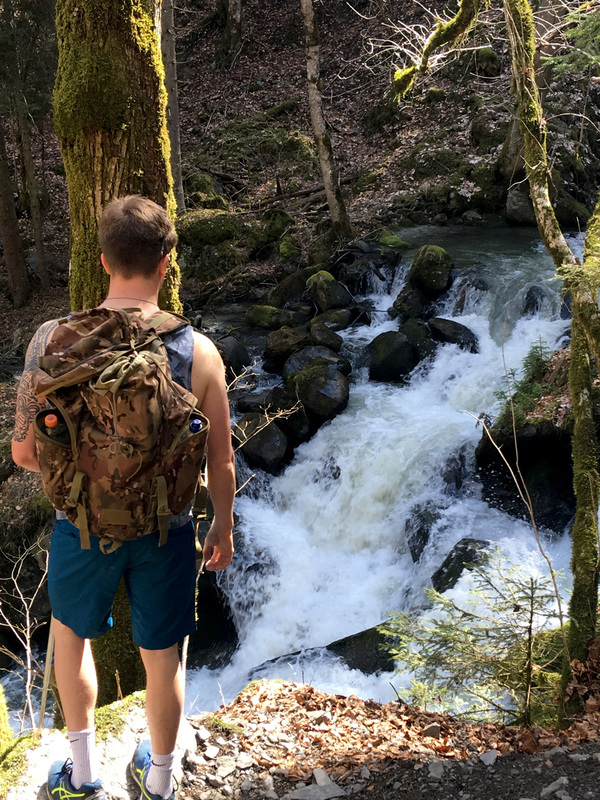 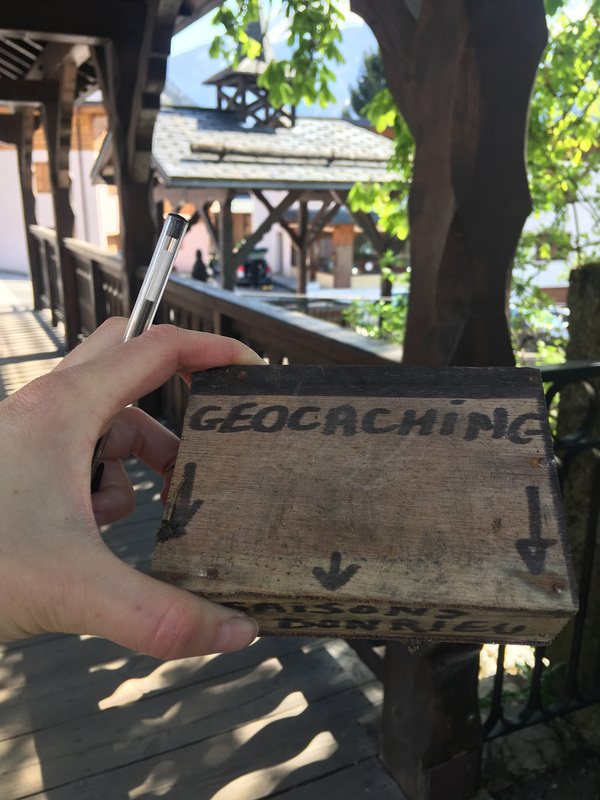 On our very last day together as a team, we took a trip down to the Lake Bozel further down the valley at 800m for sunshine, beers, paddling, and an exploration of the old town (and a cheeky geocache, obviously!). 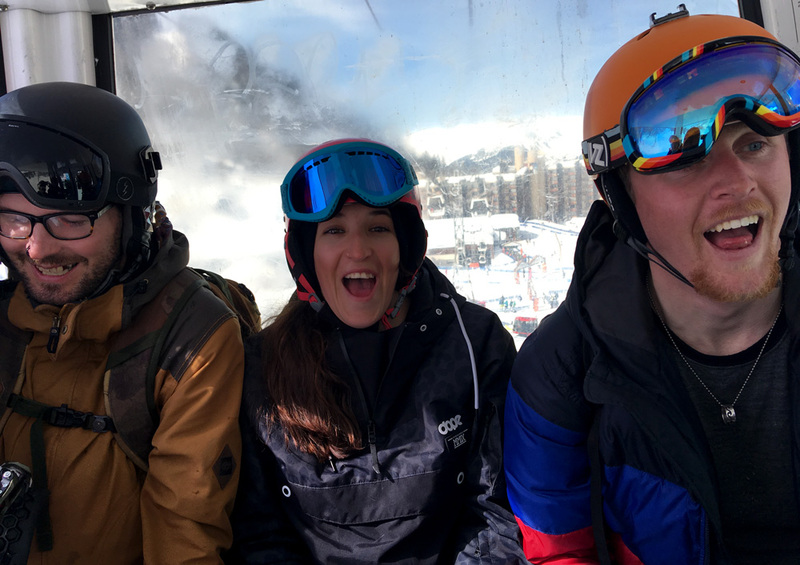 Before getting dressed up and heading to Tsaretta for the last team supper of steak and wine. 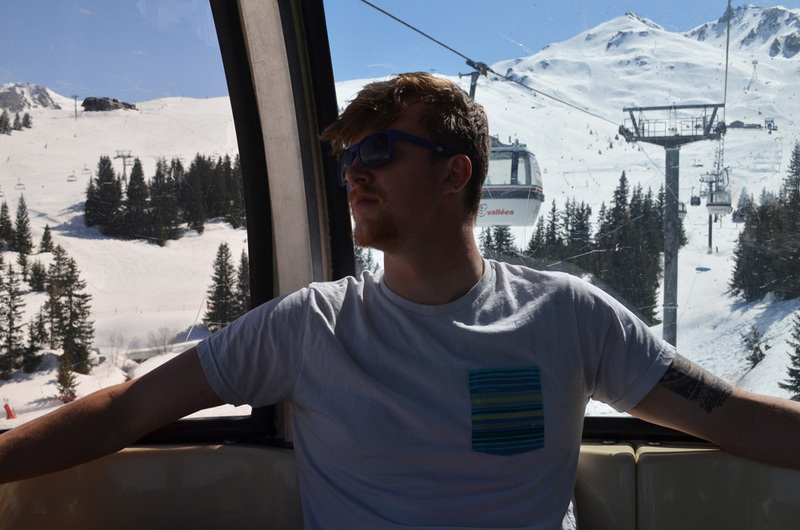 And that was a season wrap, 5 awesome months in Meribel for season number 5.